If you click on the lock a more accurate preview opens on the SSL certificate. 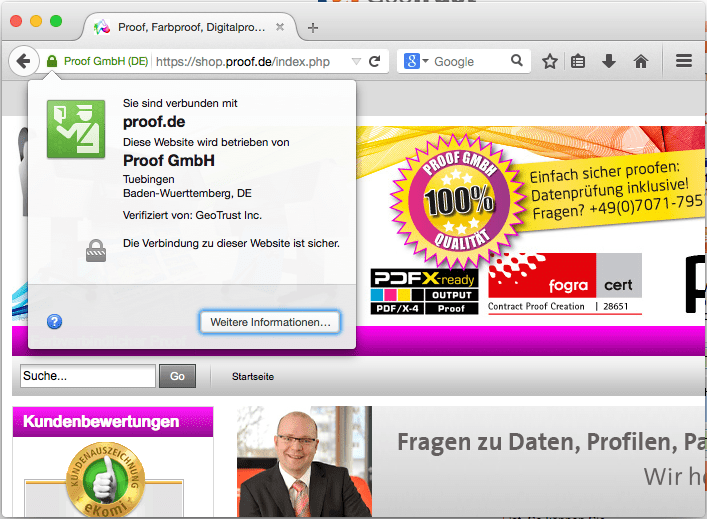 Clicking on “more information”, you will see the detail of the issued by GeoTrust SSL certificate of the Proof GmbH. A SSL certificate with extended validation as ours is a special type of page verification, which is significantly more expensive than other types of verification page. A gray padlock indicates that a site uses a secure connection, a green lock indicates that the connection is secure and is the owner of the domain is in fact the expected owner. 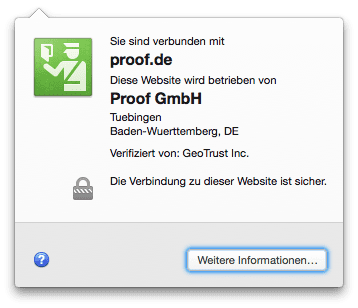 With the EV certificate, you can see through the Site Identity Button that shop.proof.de is owned by the Proof GmbH because the owner’s name is displayed directly in the button. The identity dialog contains additional information about the site. By SSL encryption we want to make sure that all communication between you, the Proof Shop and us is encrypted. Besides the https encryption, in the background all data between the shop and us is soley transmitted through an encrypted FTP connection. 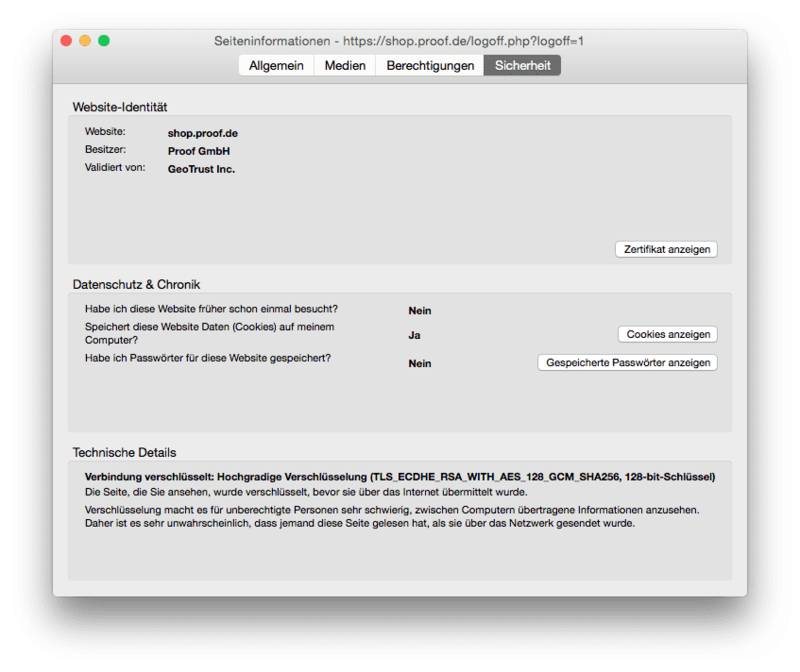 This entry was posted in Basics, Proof GmbH and tagged Datenschutz, Proof GmbH, Proof Shop, shop.proof.de, SSL, SSL mit EV, Verschlüsselung by Matthias Betz. Bookmark the permalink.